Neighboring communities meet as Hall-Dale plays Maranacook; Richmond seeks revenge against Searsport. The matchups are enticing. Two conference champions meet with a Class C South baseball title on the line. Meanwhile, in D South, there’s a score to settle in what’s become a growing rivalry. The playoff roads have wound their way to St. Joseph’s College for the regional finals. In C South, Mountain Valley Conference champ and top seed Hall-Dale faces Kennebec Valley Athletic Conference B winner and No. 3 Maranacook at 3 p.m., today. It’s a rare matchup of unfamiliar teams in the MVC-dominated region, but both coaches said the teams know plenty about each other. 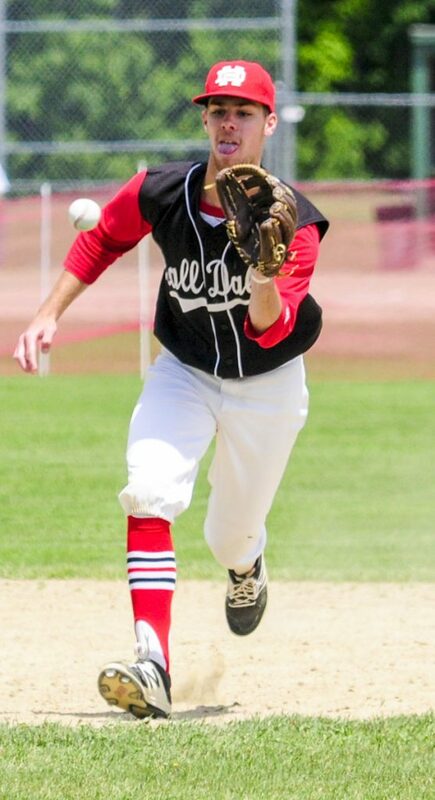 Staff photo by Joe Phelan Richmond shortstop Matt Rines fields a grounder in the dust during a Class D South semifinal game Friday at Richmond High School. The notion of familiarity continues in D South, where No. 2 Richmond faces No. 1 Searsport for the third time in four years. The Vikings beat the Bobcats the last two times, and Richmond coach Ryan Gardner said there’s a personal feel to this matchup. In C South, both teams will have their top pitchers available. Hall-Dale’s Dean Jackman hasn’t pitched since throwing three innings against Winthrop in the quarterfinals on Thursday. Dan Garand didn’t pitch in the semifinal win over Lisbon and should be ready to go for Maranacook. The Black Bears will rely on Garand, but they’ll also need their defense to be sharp against a Bulldogs team that has been hitting 1 through 9 and has feasted on opponents’ mistakes. 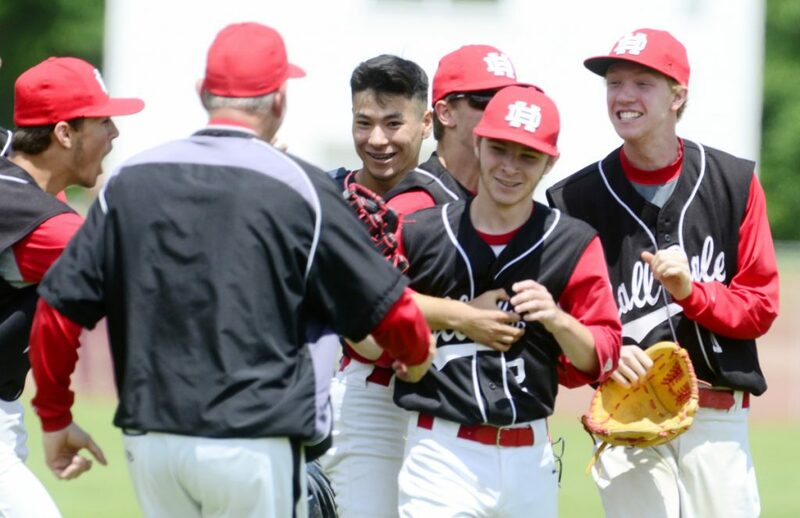 Eight of Hall-Dale’s 11 runs in two playoff games were unearned, and the Bulldogs got all seven runs in their semifinal victory over Bridgeway with two outs in the second when errors opened the door. Sinclair doesn’t expect Maranacook to give his team too many opportunities. At the plate, the Black Bears will look for balance to keep paying off. 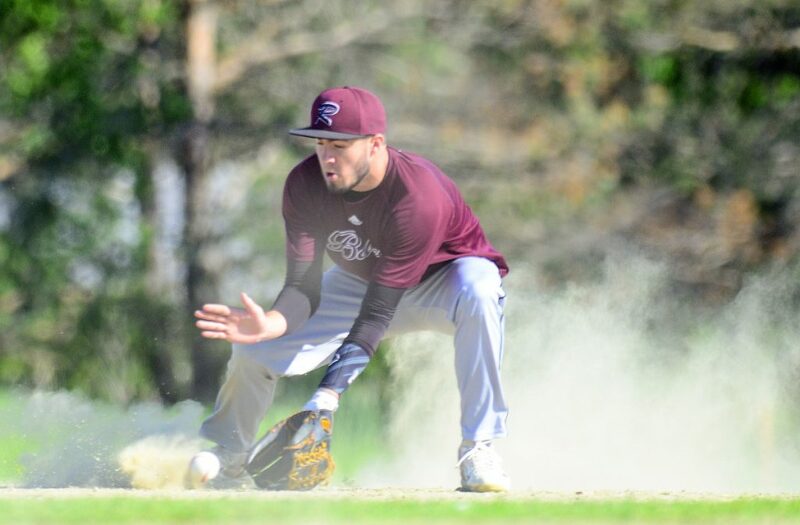 Maranacook sports a lineup full of good hitters rather than two or three big bats, and Brown said that dynamic has continued in the postseason with contributions coming from all over. Gardner isn’t alone in thinking there’s a little more on the line for his team’s Searsport showdown. To do so, they’ll have to find an answer for Charlie Spiegel, who allowed four hits in a complete-game effort in last year’s regional final and should be available Wednesday, even after pitching in the semifinal win over Buckfield. Gardner used Small to beat Greenville in the semis, but said he’s got enough pitching in No. 2 starter Matt Rines and hard-throwing relievers Justin and Andrew Vachon to get the job done. On offense, Gardner said the key will be to work counts and strike early against the three-time champs, something the Bobcats, who were down 5-1 by the fourth inning, did not do last year.